Yellow like sunshine! :) Love the matching of the blue denim with that gorgeous bright yellow of the shirt! This post made me remind the music "Blue Jeans" from Lana Del Rey! Yellow is your color, you look bright and sparkling! You look stunning! Love the skirt and your smile! 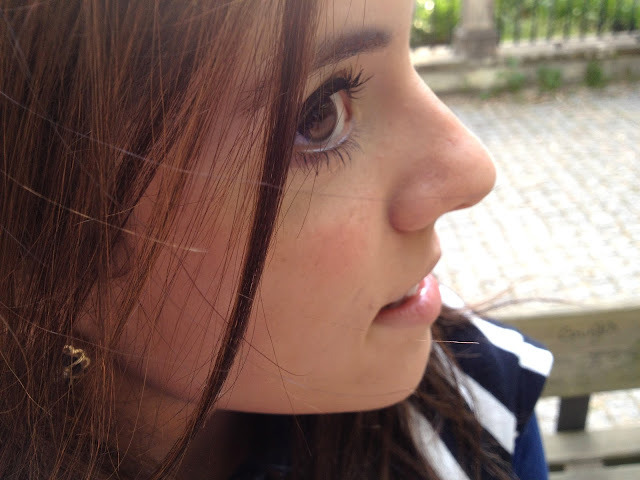 Wish I had your smile! Your skirt is absolutely lovely! your outfit is really great!! You look good in yellow! I love your jeans shirt! Ciao! !1...Meravigliosa, Estas Maravillosa, Espectacular, me gusta mucho,Muchissimo ! Bellissime Foto e un Look Meraviglioso...Molti complimenti per il Tuo gusto nel Vestire! Il Tuo look e la Tua Bellezza meritano un 10 & Lode, 10 sobre 10!!! May I ask you one question? Can you tell me the price of your Chanel's earrings? Wow, you are Yellow like me :D... cool outfit, and the snake kind of necklace is awesome! Loving the pops of yellow!! 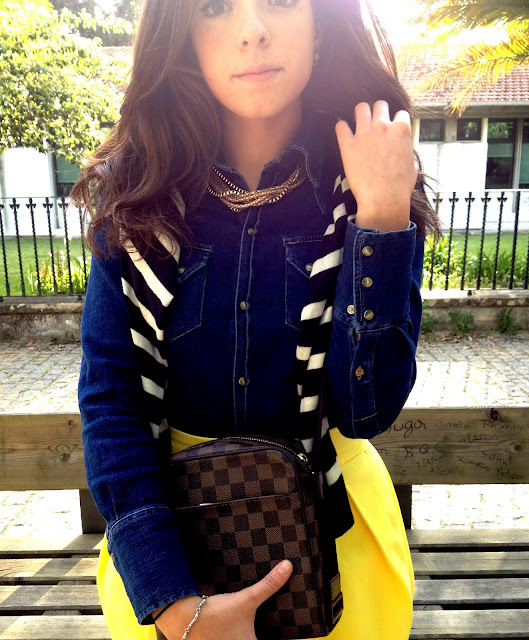 Love you dressed up the denim button-up with a chic yellow skirt...awesome combo. You look fab! Absolutely adore yellow + navy. You're beautiful! 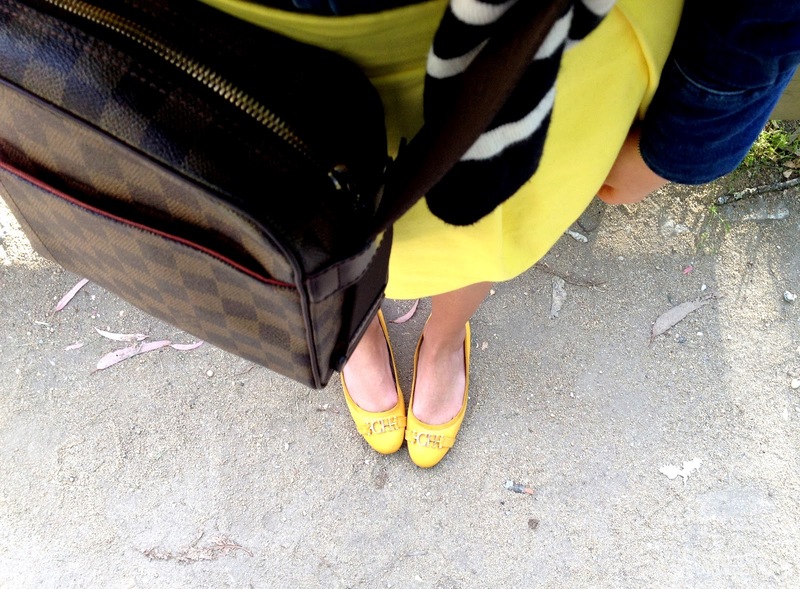 I love your Yelow skirt,en shoes! I love yellow and blue together, that skirt is so cute! You look so pretty! what an adorable blog you have! I like the pops of yellow in this outfit- it looks very modern. Plus I love how you smile in all your street style pictures, it's infectious! Don't you feel like dancing?